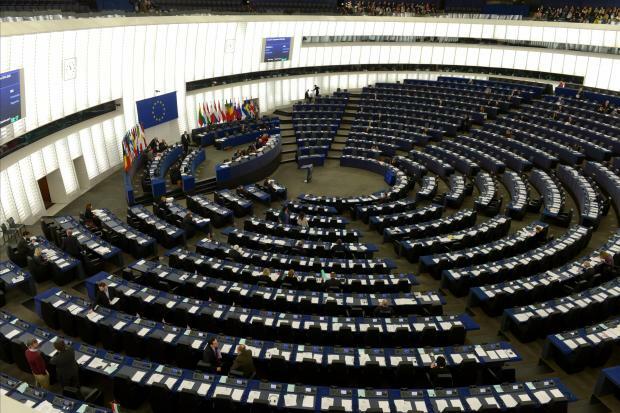 Prime Minister Joseph Muscat faced questions from MEPs during a European Parliament debate on the rule of law in Malta in the wake of the Panama Papers scandal. 5.55pm: After nearly two hours of statements, accusations, and counter-accusations of bullying later, the debate is over. 5.52pm: In a passionate, unscripted speech, Muscat underlines the measures he says his government has taken to beef up the country's checks and balances, before chronicling his government's economic and social successes. 5.45pm: The prime minister urges MEPs to look at facts rather than just tweets and misinformation spread across the social media. Muscat describes as an "outright lie" claims made in "unsubstantiated" blog posts linking his family to a secret Panama company. 5.38pm: Closing off a rather uncomfortable debate, Muscat says he understood the spirit of the debate and the political narrative. He says it is not true that only Maltese politicians are mentioned in the Panama Papers - an EPP official was also mentioned. MEP Werner Langen loudly objects to the claim. He says he is amazed that several MEPs were ignoring the fact that he promised officials would resign if they were found to have been linked to corruption. "You're sourcing facts from the social media and you're not trying to dig deeper." He defends Malta's taxation system, saying it has undergone all levels of scrutiny. Muscat says there are at least five other EU states which are ranked lower than Malta where it comes to taxation secrecy. 5.35pm: Summing up, European Commissioner Pierre Moscovici says EU states need to abide by a series of strict rules to combat unfair tax practices. You can't frivolously call an EU state a "tax haven", he warns. He says he is, of course, aware of the links between the Panama Papers and Malta, but says he cannot comment on them because they are currently the subject of investigation. 5.28pm: Once again, the name of Hungarian prime minister and right-winger Viktor Orban is brought into the arena. He's clearly not a popular character in this chamber. 5.27pm: We're almost an hour and a half into the debate. We've heard some serious accusations thrown in Malta's direction, most of which related to the Panama Papers, but also targetting the island's preferential tax system. 5.22pm: Ana Gomes, a highly-critical voice from the same Socialists group spares no punches. Malta, she claims, is a tax haven encouraging money-laundering through initiatives like the cash-for-passports scheme. Unfortunately, Malta is not alone, she says. 5.15pm: Markus Ferber from the EPP says requests for information from Malta was often met with deafening silence. Paul Tang from S&D somewhat lauds and criticises Malta's preferential tax system but says loopholes should be closed. 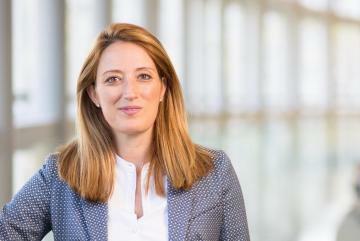 5.13pm: Maltese MEP Marlene Mizzi hits back and says the debate called today is a poor excuse to promote someone's agenda to tarnish Malta's reputation. "They should be ashamed of themselves. Shameful bullying tactics. Don't bully us. We won't let you." 5.11pm: The government could have avoided this dark day for Malta, Nationalist MEP Roberta Metsola says. But she points out she will not accept claims made by critics who use political scandals to attack Malta's financial services. 5.10pm: Darius Rosati from the EPP reminds those present that during a fact-finding mission to Malta, Keith Schembri had failed to show up for questioning while Konrad Mizzi failed to convince. "It's worrying that both have not been suspended. It has seriously undermined the credibility of Malta and of yourself especially when Malta holds EU presidency. Winning elections will not allow you to sweep problems under the rug," he tells the prime minister. 5.04pm: Nils Torvalds from ALDE says his group is concerned with the lack of progress made in the money laundering directive under Malta's EU presidency. "We're trying to see watertight rules. The key point is to close the loopholes in taxation." 5pm: MEP Miriam Dalli says Malta is no Hungary, which is led by a member of the EPP. "Stop playing, judge jury and executioner," she tells rival parliamentarians. "Stop undermining institutions with baseless accusations. This is the real threat to democracy." 4.55pm: Werner Langen from the EPP tells our prime minister: "This is total disdain to the European parliament, and I've never seen anything like it. You can laugh all you want - we will continue asking questions. We will even ask whether you bought votes in Malta." 4.55pm: The real scandal is the waste of money in the EU, and thank goodness Britain is leaving the EU, British MEP David Coburn says. But another says, "Mafia, armed dealers, people linked to Hezbollah are being linked directly to Malta." Malta is facing serious accusations, a rather brash MEP tells Muscat. 4.52pm: Joseph Muscat is listening attentively and communicating on his mobile phone. He was seen shaking his head when Egrant was mentioned by one of the MEPs. 4.50pm: One MEP asks whether the rule of law in Malta is really being implemented. Even the wife of the prime minister is being linked to a secret company, he says. "The accusations need to be proven as false. If the Commission doesn't act it becomes an accomplice." 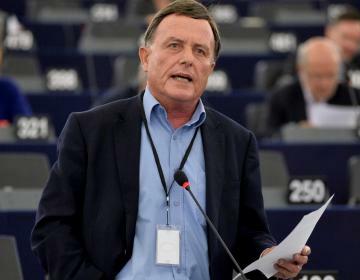 4.42pm: Labour MEP Alfred Sant lauds the prosperity of the Maltese economy, and the improvement in social rights, among others. Critics have no basis to say the rule of law is being undermined - four magisterial inquiries are going on with total independence, the former prime minister says. Asked how he felt that Konrad Mizzi has been reappointed when he himself had called for his resignation, Dr Sant replied: "the prime minister has to respect the will of the people." Nationalist MEP David Casa says last week's vote doesn't forgive his sins. On the contrary he reappointed corrupt people. "I love Malta, that's why I will speak up when our institutions are attacked." 4.38pm: Congratulations for a thriving economy which got you re-elected, MEP Barbara Kappel tells Muscat. But one also has to probe to what extent its tax loopholes led to that success. 4.35pm: Sven Giegold from the Greens says his group is seriously concerned with the rule of law in Malta. He says the FIAU has investigated doubtful procedures and yet they did not lead to any prosecutions. He even says MFSA boss Joe Bannister has a huge confict of interest. What are the authorities waiting to take action against Pilatus Bank, Nexia BT, Keith Schembri and Konrad Mizzi? This one is tough. German MEP Fabio De Masi claims Malta is intrinsically linked with dodgy business - it is a tax haven, Malta protects money stained with blood. The Nationalist Party also had skeletons in its cupboard, no wonder the electorate chose to keep it in opposition. 4.30pm: Jeppe Kofod from the Socialist group insists the EP chamber is not the place to discuss the claims made against the Maltese government. Can we really question Malta's democratic credentials when 92 per cent showed up to vote in an election, he asks those present. @Europarl_EN debates #Malta on #panamapapers. 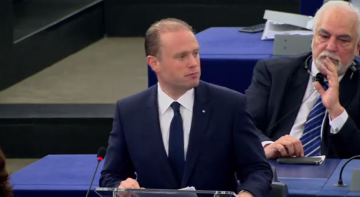 @ManfredWeber to @JosephMuscat_JM " Why do you still have a Minister with a Panama account?" 4.25pm: And of course EPP boss Manfred Weber is sparing no punches. After congratulating Muscat on his re-election, he recalls that Malta is benefiting from EU membership, a membership Dr Muscat once strongly opposed. He asks why Konrad Mizzi remains in his Cabinet despite being named in the Panama Papers. "You said a lot about what you did on paper. I was hoping you'd come here today and tell us whether you really implemented it. Democracy means that people must have full trust in their institutions." 4.20pm: EU commissioner Pierre Moscovici says the EU has to continue doing its utmost to shed light into the "murkiest waters" to ensure fraud and money laundering is reduced. Meanwhile, our reporter in Strasbourg Jacob Borg says the hemisphere is barely a quarter full. 4.20pm: Maltese government will remove parliamentary immunity, and introduce a new code of conduct for those who hold public office. Dr Muscat says his government was the first one to remove time-barring on politicians in Malta. Should any shred of evidence link politicians to corruption, they will face justice, he says. 4.10pm: On behalf of the EU council, Minister Helena Dalli lauds the improvements made in EU legislation in the last six months. In the next two weeks, Malta hands over the EU presidency to Estonia. 4pm: After a debate on Europe's values, the discussion on Malta is about to start. 3.40: The debate on Malta is expected to start in a few minutes. 3.25pm: Just before the debate started, the European Greens called a news conference to say they have asked the European Commission to investigate potential anti-money laundering law violations in Malta. 3pm: Malta's re-elected prime minister will face questions and comments by around 30 speakers. The debate is expected to last around an hour. During a mass meeting last Saturday, Dr Muscat said he would be travelling to Strasbourg as the "shield" of his country. Just before the debate in Strasbourg, the prime minister lauded his government's economic achievements through a tweet.